If you’re over 30, you should be concerned about your bone density. According to World Health Organization (WHO), osteoporosis is second only to cardiovascular disease as a global healthcare problem. And, if you’re like the millions of people who are trying to prevent osteoporosis, you may be taking a prescription medication like Boniva, or loading up on calcium. If so, there are much better ways to protect your bones you should know about. Osteoporosis rates in the U.S. have gone up 300% in the last 30 years, much like the rates of diabetes, obesity, cancer and other lifestyle- and diet-related diseases. Millions of Americans are at risk for osteoporosis, and even more will probably suffer bone loss. Bisphosphonate bone drugs (like the kind you’ve seen Sally Field talking about on TV) have been in the news recently, and if you look outside the mainstream media you will find that the news is not good at all. Made from the same class of chemicals that is used in the cleaners that remove soap scum from your bath tub, bisphosphonates do virtually nothing to contribute to healthy bone growth and osteoporosis prevention, and they also potentially pose grave health dangers. One study even found that one of these drugs—you may have seen the headlines about Fosamax—may actually be responsible for causing leg fractures! And if you’re taking extra calcium, you should know that calcium supplements can actually harm you. Taking too much calcium not only won’t help your bones, it has been implicated in causing all sorts of problems, including arteriosclerosis and high blood pressure. 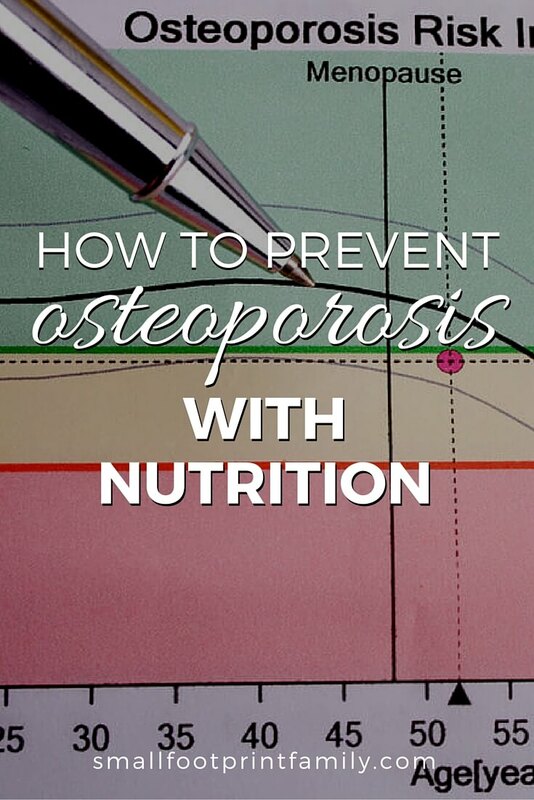 So how can you prevent osteoporosis, or possibly even reverse it if your bones have already begun to lose density? Lifestyle. Lifestyle factors that contribute greatly to the onset of osteoporosis include smoking cigarettes, high intake of alcohol and/or coffee, and low levels of physical activity (weight-bearing exercise). Too much sugar. Excess sugar and refined carbs from processed foods leach calcium from the bones into the urine. Too much soda. Excess phosphorus intake from drinking lots of sodas, particularly colas, causes the body to balance this phosphorus by leaching calcium from the bones. Vitamin deficiency. Most Americans eat a diet that is poor in the nutrients necessary for healthy bones and teeth, such as magnesium, calcium, Vitamins D, K, B-6, B-12 and folic acid, omega-3 fatty acids and trace minerals like boron and manganese. Magnesium deficiency is a huge factor for osteoporosis. Magnesium is actually more important than calcium for bone growth and bone density. As many as 90 percent or more of us are deficient in magnesium. Too much low-quality protein without enough fruits and vegetables. Eating a lot of poor-quality meat and dairy without also eating a lot of vegetables can lead to acidification in your body. In order to compensate for this, your body will take calcium from your bones to buffer the pH. (Think Tums made from your bones!) Eating vegetables, especially leafy greens, helps to alkalize your body naturally. Hormones. Among women, the decrease in estrogen during menopause has been correlated to a rapid reduction in bone density. Other hormone deficiency states can lead to osteoporosis, such as testosterone deficiency. Glucocorticoid or thyroxine excess states can also lead to osteoporosis. Medications. Some medicines can inhibit the body’s ability to absorb calcium and others can increase bone loss. These include cortisone, blood thinners, antacids containing aluminum, thyroid medications, chemotherapy, lithium, and certain antibiotics. Birth control pills also contribute to loss of folic acid, which contributes to bone loss. Illness. Other illnesses or diseases, such as over-active thyroid, diabetes and rheumatoid arthritis may also cause bone loss. Diseases that inflame the gut like Celiac disease, ulcerative colitis, IBS, etc. can lead to serious nutrient deficiencies that can cause bone loss. Diseases like anorexia nervosa or bulimia can cause malnutrition and changes in a person’s estrogen level which lead to osteoporosis. Fluoride. Fluorides destroy collagen, the glue which adds strength to the bones. Fluorosis from excess fluoride consumption (in tap water for example) can pit and scar your bones, and make them more porous. First, reduce or eliminate all the junk food, sodas, fluoride-containing foods and beverages (including bottled “juice drinks,” and fluoridated tap water), coffee, alcohol and other lifestyle factors that contribute enormously to osteoporosis. (See list above.) Quitting smoking is one of the best things you can do to protect yourself from bone loss. Regular weight-bearing exercise has been proven to increase bone mineral density and reduce the risk of falls by strengthening the major muscle groups in the legs and back. You don’t have to join a gym, buy videos, or work out until you’re a sweaty, exhausted mess. Just get your heart pumping a bit for 30-45 minutes, 3-4 times a week. Whether you choose walking, running or tango lessons, whatever you enjoy doing is best, because you’ll stick with it. Third, eating whole foods rich in calcium, magnesium, silica, Vitamins D and K, as well as Vitamins B-6, B-12, folic acid, trace minerals and Omega-3s at every meal is arguably the most powerful thing you can do to avoid or even reverse osteoporosis. Supplements will not protect you alone; they are often in the wrong forms and combinations to be properly utilized by the body, and are often poorly assimilated, especially in older people or people with digestive issues (which seems to be most of us these days). Here are some of the best food sources for the vitamins and minerals your bones need to carry you strongly into your old age. Studies suggest that getting calcium from foods such as sardines and raw-milk cheese is much better for building bone than taking a calcium supplement. Women who get most of their daily calcium from food have stronger bones than women who rely on supplements as their main source of calcium—even though supplement takers have a higher average calcium intake! It is recommended to consume 1,500mg of calcium every day (A glass of milk has about 300mg), so foods rich in calcium should be consumed with every meal. Excellent sources of calcium include full-fat, grass-fed dairy products (milk, cheese, and yogurt, especially raw), wild salmon, sardines, almonds, sesame seeds, beans, dark green leafy greens and broccoli. Raw, grass-fed cheese also contain CLA and Vitamin K, which also contribute greatly to bone strength. If you are vegan, you will need to eat leafy greens or sesame seeds as often as possible to ensure you get enough calcium. Magnesium is essential for good bone growth and density, and is just as important as calcium for preventing osteoporosis. It is estimated that 8 out of 10 people do not get enough magnesium daily and that over 90% of the U.S. population is magnesium deficient. The recommended daily minimums are 320mg for women and 400mg for men, but optimum daily amounts are more like 600 to 800 mg.
Magnesium-rich foods should be included in every meal. Excellent sources include pumpkin seeds, sunflower seeds, dark green, leafy vegetables like spinach and Swiss chard, wild salmon, halibut and black beans, but it is difficult to get enough magnesium through diet alone, so supplementation is advised for most people. Magnesium supplements are difficult to absorb, and can often cause bowel discomfort or diarrhea. The very best ways to get magnesium into your body are to use magnesium oil on your skin, take a bath in magnesium chloride, or take it orally in angstrom form. Although somewhat less effective, you can also bathe in Epsom salts, or take magnesium in the citrate, chelate or orotate forms, depending on what your tummy can tolerate. It is estimated that 75% or more of the U.S. population is deficient in Vitamin D. The very best way to get Vitamin D is by exposing your bare (no sunscreen) arms to the sun between 10am and 2pm for about 20-30 minutes every day, but it is also important to get Vitamin D in your food, especially during the winter months. Products fortified with Vitamin D like pasteurized skim milk are not good sources of the vitamin because they use a synthetic form (D2) which is poorly utilized by the body, and can be toxic in large amounts. Natural, concentrated sources of Vitamin D (D3) include wild salmon, shrimp, grass-fed beef liver, cod, cod liver oil, eggs from pasture-raised hens, and grass-fed, whole milk (especially raw). Vitamin D is not available in plant foods; it is only found naturally in sufficient amounts in foods from animals that get plenty of sun. Deficiency in Vitamin K is an often overlooked contributor to osteoporosis. Once called “Activator X” by Dr. Weston A. Price, new research has shown that this little known vitamin is the secret key to calcium balance in the body, leading to good bone and dental health. Without enough vitamin K, any calcium pills you take won’t likely help your bones, but rather the excess calcium will get stored in your arteries and other tissues, causing arteriosclerosis, bone spurs, kidney stones and other problems, or get excreted in your urine. Vitamin K has two main forms, K1 and K2, and they can be found in green, leafy vegetables such as kale, collard greens, spinach, Brussels sprouts, broccoli, spinach, parsley, asparagus, and mustard greens. Natto from fermented soy, grass-fed, deep yellow butter, raw milk cheese and grass-fed beef liver are also excellent sources. You can also take a Vitamin K supplement if you do not eat these foods often. If you take blood thinners like Coumadin or Warfarin, these drugs deplete Vitamin K from your body in order to make your blood harder to clot, and you should talk to your doctor before you eat foods high in Vitamin K or take a Vitamin K supplement. People who take blood thinners may be at greater risk of osteoporosis because of Vitamin K deficiency. These three B vitamins, in which the elderly are commonly deficient, contribute to the building of collagen, which helps build strong bones. The recommended daily dosage is 400 mcg of folic acid, 400 mcg of vitamin B-12, and 25-100 mg of vitamin B-6. Excellent sources of vitamin B-6 include bell peppers, turnip greens, and spinach. Excellent sources of folic acid include spinach, parsley, broccoli, beets, turnip greens, asparagus, romaine lettuce, lentils and grass-fed calf’s liver. Excellent food sources of vitamin B-12 include grass-fed calf’s liver, sardines, wild salmon, and pasture-raised eggs. B-12 is only naturally present in animal foods. Trace minerals like boron, strontium, manganese, silica and copper can be found by eating a varied and broad-based diet that includes mostly unprocessed foods, such as soaked and sprouted nuts and seeds, soaked and sprouted grains and beans, fresh, organic fruits and vegetables, seaweeds, wild-caught fish, shellfish and pasture-raised organ meats. Foods high in boron (a mineral that helps the body hold calcium) are beneficial for those affected by osteoporosis. Boron is found in apples, pears, grapes and other fruit, as well as in leafy greens, legumes, nuts and honey. Strontium helps increase bone formation and is found in wild-caught fish, whole grains, kale, parsley, lettuce, Brazil nuts, and molasses. Manganese is another bone-beneficial trace mineral found in pineapples, brown rice, chick peas (garbanzo beans), spinach and oats. Silica can be found in bean sprouts, cucumbers, leafy green vegetables, nettles and oats. Foods high in copper include grass-fed beef liver, sesame seeds, cashews, crimini mushrooms, and chick peas (garbanzo beans). New research provides evidence that omega-3 fatty acids can significantly decrease bone turnover rates. In women, these beneficial omega-3 fats work with estrogen to stimulate bone mineral deposits and slow the rate of bone breakdown. Most Americans get too much Omega-6 in their diet from yellow seed oils like soybean, canola and sunflower oils, and not enough Omega-3. This imbalance leads to all sorts of health problems, including osteoporosis. You can protect your bones by reducing or eliminating the use of yellow seed oils (try butter, coconut and olive oils instead! ), and eating lots of anti-inflammatory, Omega-3-rich foods like flaxseed, hempseed, and walnuts, as well as grass-fed beef, and cold water fish like wild salmon, tuna and cod. Cod liver oil is also an outstanding food-based, concentrated source of Omega-3s. Like all chronic diseases that plague Americans these days, preventing or even curing osteoporosis requires giving up modern convenience foods like packaged meals, yellow seed oils, junk food, and excess sugar and refined carbs, and replacing them with a whole-food diet rich in high-quality meat, dairy and fish, healthy fats and omega-3 fatty acids, and abundant amounts of leafy greens and other fruits and vegetables. Eating this way does mean more home cooking, and a slower pace at dinner-time, but given that hip fractures due to osteoporosis are one of the leading causes of death for people over age 50, I think you (and your bones) are worth it. Thank you for all of the great content in this and your other articles. I can’t get raw milk where I live. I buy full fat organic milk from cows on a minimum 60% grass fed diet. The milk is pasteurised and homogenised. My question is this… Is it doing my bones more harm than good? Should I switch to more greens rather than organic milk? Thank you for commenting. This only happens on older browsers or very slow internet connections. The blog is actually on a very large white space with the photo just barely visible around the edges. Very excellent article. 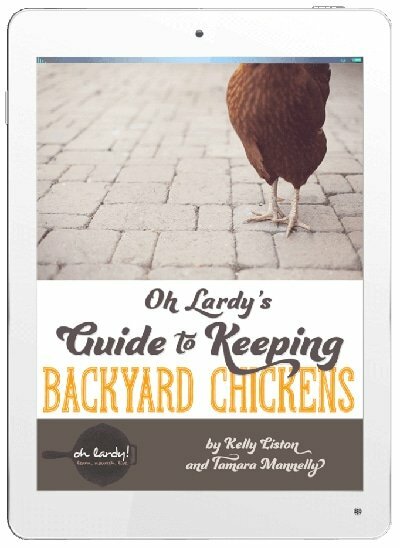 There is so much great information here. I would love to help elaborate on the magnesium supplement portion. The most important thing when starting to take magnesium is to start slowly. Magnesium in high doses can cause a very uncomfortable laxative effect until your body becomes adapted. Start with 200 mg daily or less and then work up. Thanks for your work. I have heard that mushrooms exposed to UV light produce Vitamin D.
While they are being developed currently, Vitamin-D enhanced mushrooms are not yet widely available on the commercial market. Since you need at least 1000iu of Vitamin D3 daily for optimal health (and the average mushroom contains only 5-10iu), it is much easier, cheaper and more effective to just get at least 30 minutes of sun every day on as much skin as possible, and eat nutrient dense foods that contain plenty of bioavailable Vitamin D3 naturally, like wild caught fish, cod liver oil, or pasture-raised eggs. Until Vitamin D mushrooms are proven bioavailable and made commercially viable, vegans would do best to supplement, and monitor their Vitamin D levels to make sure they are getting enough. Thank you for posting this! My mother has osteoporosis which is surprising bearing in mind she drank raw milk throughout the war years, played golf and ate a good diet. However, in later years she has developed a very sweet tooth and tends to indulge in the wrong foods since my father died. I have tried to persuade her to eat more green vegetables and to improve her diet and she is trying. I have learned more from reading this post and from some of the comments here. Thank you again! Eating a lot of sugar and refined carbs (pasta, bread, etc.) is a MAJOR risk factor for osteoporosis, heart disease and Alzheimer’s—all of which affect older women in very high numbers. It is such an important factor in these diseases, it would do more good to get the sugar and refined carbs OUT than it would to put more veggies in (though don’t let that stop you from trying to get her to eat more veggies!). Her future quality of life (and yours) may depend on it. Thanks so much for commenting! As soon as I saw this post, I was waiting until I found the part about magnesium. I remember in school, our teacher told us that magnesium is more important than calcium for strong bones. Other than that, I really didn’t know most of this. What a helpful article! I will keep this in mind from now on. My mom has osteoporosis and recently had one knee replaced. She’s having the other knee replaced soon as well. The whole process was extremely painful, so it’s definitely something I keep in my mind. Thanks so much for sharing with Hearth and Soul!! Thanks so much for commenting! Since bone is so very slow-growing, it can take years for it to rebuild to proper density, once you start to lose it. Protecting yourself NOW with outstanding nutrition for bone health can help ensure you don’t face such painful surgeries yourself in your later years. Blessings to your family! Wow! It’s incredible what gets through the FDA. Love your site, you are so thorough in your posts and put so much good info into them ! I must alert all of you who developed osteoporosis to get the blood test for celiac disease. I went to a endocrinologist for four years who pushed Fosamax which was not effective. Her solution was more drugs – Reclast. I refused the Reclast. I did my own research and found an article about celiac disease on Osteopenia.com. The small bowel is inflamed which prevents it from absorbing nutrients and you are in a malnourished state all the time. I asked for the test which was highly positive. I immediately started supplements and exercise. In one year I had improvement in my density though I have a way to go. Celiacs usually improve their bone density once they avoid all gluten in the diet and reduce inflammation in the gut. Also, in regard to the blood thinners, which I am on due to a heart condition, eat all those veggies and have your Coumadin adjusted to your lifestyle. For years I avoided veggies because of the medicine and had very varied results when my blood was tested for thinness . Now I pack on the veggies, take the Coumadin dose adjusted for me, and my blood thinness levels are very steady. This is GREAT information! Thanks so much for sharing!!! Great post! I don’t know much about the medications etc, but what you said in general is right on. Thanks for including so much detail and all the food recommendations. Great info once again! Wow, chica. You did a lot of research! 🙂 Thanks for sharing! The article is excellent. Thank you so much! A good post – with excellent information. Actually, if you are on coumadin or warfarin for managing health conditions one of the strongest warnings you will hear from your health care practitioner is to AVOID foods high in Vitamin K. It can cause potentially fatal side effects due to the clotting factors involved. These drugs are used to manage serious – life threatening – conditions. I work in health care – but have also had five instances of blood clots in my lifetime. It’s very important to use GREAT caution when on blood thinners! Also – if you haven’t yet – a foray into investigating Vitamin K2 may be in order. It’s a wonderful find and very, very helpful to those of us who are fighting our way back from osteoporosis and avoiding biophosphonates along the way. I also think it’s really important to point out that the TYPE of calcium you consume (citrate is clearly preferential if you have bone demineralization going on), how it’s balanced in ratio to magnesium, and Vitamin D3 – have everything to do with what kind of success one will have with fighting osteoporosis. I’m passionate on this subject – largely due to the fact that in my mid-30’s I was dignosed with osteoporosis. It is vitally important to balance the dietary needs and requirements as well as appropriate vitamin and mineral supplementation if one is going to have success in the war. 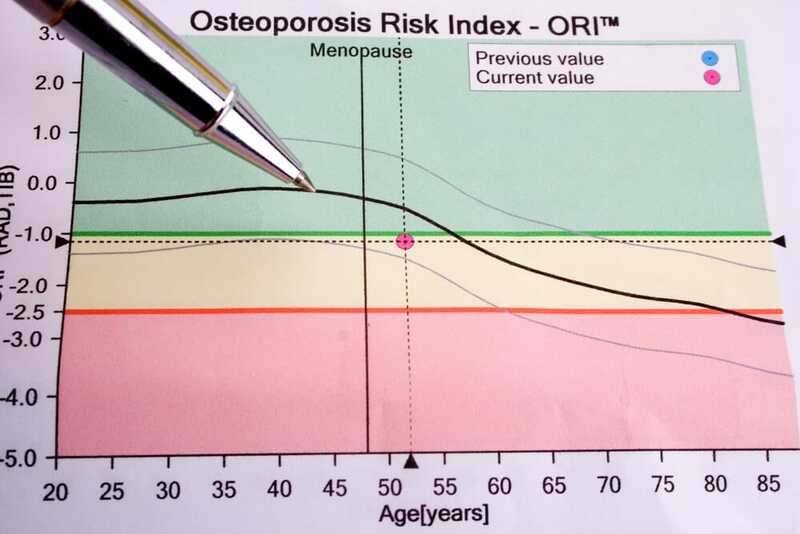 I’m happy to report that I have gone from being soundly in osteoporosis to having improved to osteopenia – and am trending toward healthier bone health with each round of labs. Thanks, Dina for the information! I don’t know much about pharmaceutical drugs like warfarin, so that info is helpful. Since the focus of my post was on foods that help osteoporosis, I intentionally did not get into supplements much, but excellent food sources of Vitamin K2 include natto, eggs, and chicken, with natto (fermented soybeans) being the best source. Congratulations on healing yourself of osteoporosis; that is truly wonderful and inspiring! Hi Linda! D3 is a type of vitamin D, and is the type most easily absorbed by the body. Recent research has shown that Strontium may be more important than calcium for building strong bones. (Article here: http://www.naturalnews.com/026912_calcium_strontium_fractures.html), so make sure you get a complete bone-health supplement in addition to eating bone-healthy foods. I take Bone Strength Take Care by New Chapter, which has all the vitamins and minerals needed to prevent and heal osteoporosis in whole-food form, including D3, K1, K2, calcium, magnesium, strontium and silica. You can find it at iHerb among other places; there is a link and a coupon in my Resources page! I rely heavily on http://www.pubmed.com to read current clinical data that is coming out. Knowing how to balance your supplementation requires a good, thorough blood work-up – making sure that your labs include calcium, magnesium, PTH, Vitamin D 25 Hydroxy, all of your K levels. Having a good, knowledgeable endocrinologist on your team is invaluable, as well. I’m assuming your doc read the literature that your serum calcium and PTH need to be in good ranges before beginning the biophosphonates! Excellent post, everyone who eats should read this!! Great overview!! One thing that is really on my mind these days is Weston Price’s finding that without the fat-soluble vitamins (A & D, found only in animal fat (or the sun), like whole milk & marbled cuts of quality meat), we absorb very little of the other nutrients in our food. I’m left realizing that for years, my low-fat diet was depriving me of the goodies in all the fruits & veggies I was focusing on, and leaving my bones & my children’s teeth totally deficient. It really helps explain why these otherwise extremely healthy kids of mine have horrendous baby teeth. 🙁 Their bodies kept what few nutrients they were getting for the essential parts (organs, brain…), sacrificing the less essential parts (bones). Well, you do the very best you can with what you know, and when you know better, you do better! !